Every car manufacturer's worst nightmare is damaging his car while transporting it. A lot can go wrong, if the right steps of loading a car onto a trailer are not taken. It's important to note that improper transporting can cause harm to you or your driver ( whoever is driving the towing vehicle ). Not only you, but people around your vehicle can also become prone to threats of an accident. 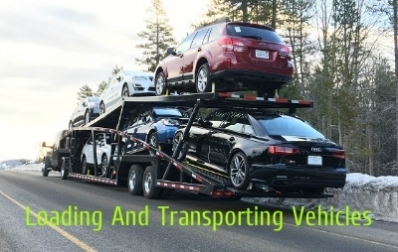 That's why it is advised to follow all the necessary steps to ensure proper loading and transporting of the vehicles. To do so, follow the advices below and carefully understand each step. Step 1: Your first job is to park the towing vehicle and trailer in a parallel line opposite to each other, on ground level. Step 2: Now turn the engine off, and engage the parking brake. Ensure that the trailer is completely resting on the hitch. Cross the safety chains from left to right and make sure they do not drag on the ground. This can protect you if anything goes wrong. Double check the trailer's electrical wiring. 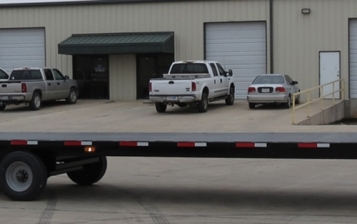 The above steps are universal, but when it comes to open car hauler trailers, you must follow these steps. Step 1: When you are transporting your cars through a 6 car hauler trailer, make sure that the trailer has 2 heavy duty ramps at the rear. Now, pull the ramps out from the trailer and place it on the ground evenly. Step 2: Center the vehicle which you want to load just behind the trailer. It is recommended to have at least two persons assisting, so that you can load the vehicle safely and securely. The persons assisting can be anyone and don’t need to possess any special experience or knowledge. Step 3: Now drive the car slowly onto the ramp. Avoid steering the wheel and keep driving until you reach the platform of the trailer. Step 4: Apply the parking or hand brake in the car. Step 5: Immediately secure the vehicle with fasteners and security chains. Step 6: Stow the ramps and drive the towing vehicle for a short distance to check if everything is fine. 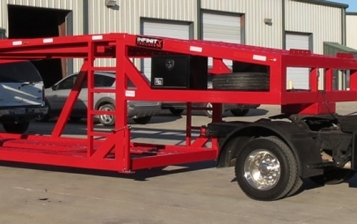 Expert's recommendation: Buy trailers from a reputed manufacturer in Texas if you really care for your cars. Stay tuned to our blog site to get more helpful tips about trailering and hauling vehicles.